Attitudes towards brutalist architecture are mellowing. At the same time, technological advances in materials are opening new development potential, which means contemporary architects and designers are again looking to concrete as a material of choice. Photo by Valentin Jeck, commissioned by Moma; The Ilirska Bistrica monument at the “Hill of Freedom” in Slovenia designed by Živa Baraga and Janez Lenassi. New York’s Museum of Modern Art has a new exhibition by Swiss photographer Valentin Jeck entitled Towards a Concrete Utopia. 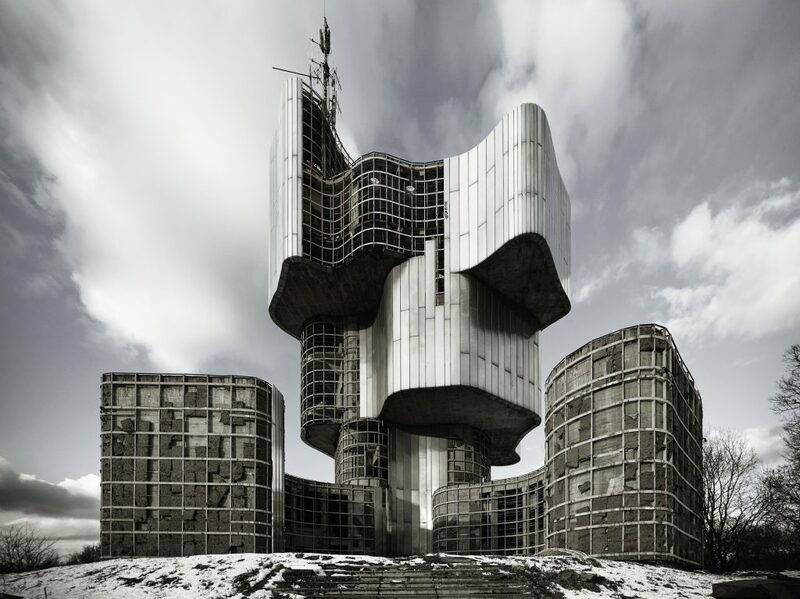 This amazing collection of photographs depicts post–war, brutalist architecture in Yugoslavia between 1948 to 1980. 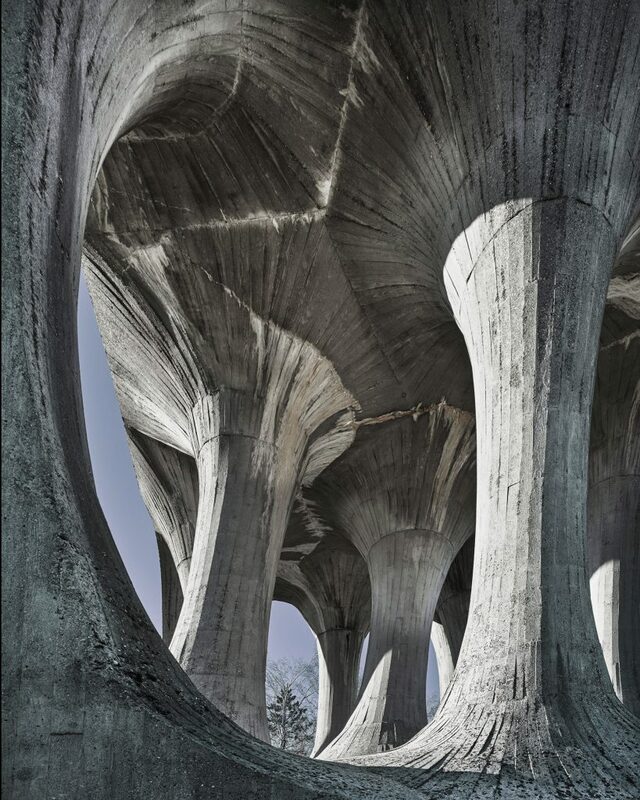 Photo by Valentin Jeck, commissioned by Moma; The Petrova Gora monument in Croatia designed by Berislav Serbetic and Vojin Bakic. The images captured by Jeck over a two–year period dramatically highlight the work of the former Yugoslavia’s leading modernist architects. The buildings they created also include WWII monuments such as the Ilirska Bistrica, in the Slovenian town of the same name. Completed in 1965, it is dedicated to fallen, Slovenian soldiers. Petrova Gora in Croatia celebrates the uprising and resistance movement of the people of Kordun and Banija against fascism and commemorates those that died. Jeck’s exhibition, which also includes hundreds of architects’ drawings, models, photographs, and film reels from collections and municipal archives, will be on show at MOMA until January 13, 2019. 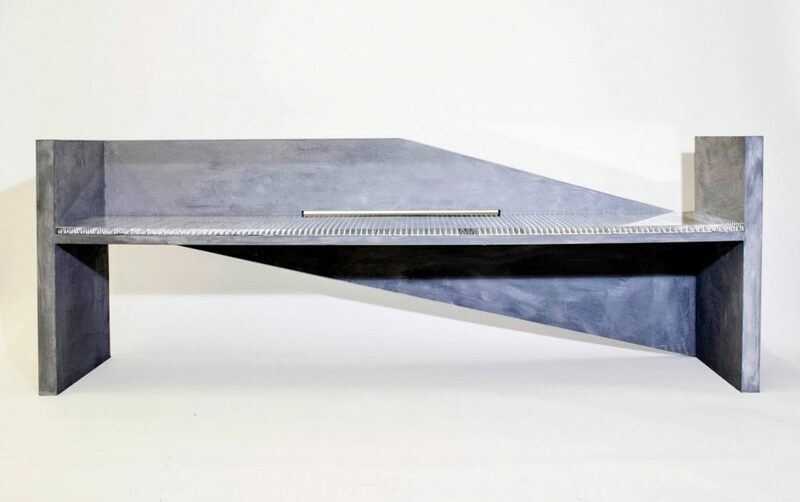 This ‘hostile’ concrete bench, embedded with metal spikes, was designed by LBU product design graduate James Hughes and was recently exhibited at New Designers. Although still usable, the bench contains a spiky illusion of discomfort highlighting the ugly side of modern, urban design, particularly as ‘hostile’ architecture is typically associated with anti–loitering or as a deterrent to rough-sleepers. 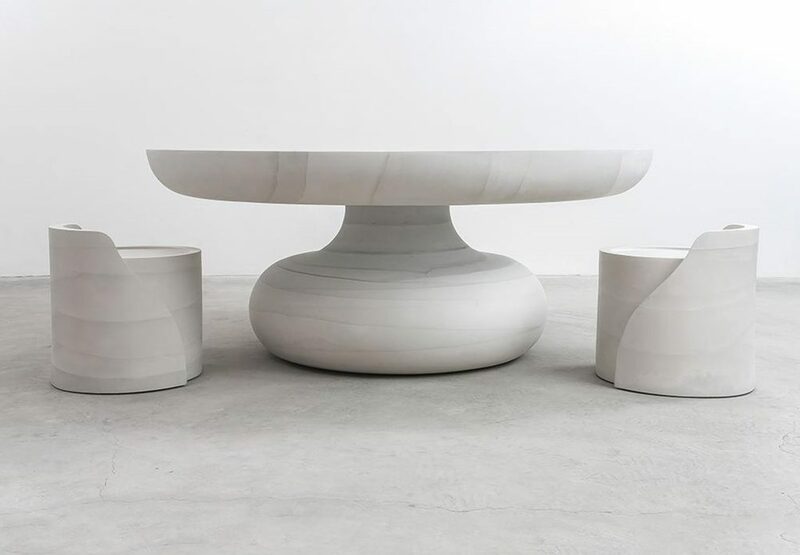 Craft and concrete are pushed to new levels with the Ghost collection of contemporary furniture (above) by Brooklyn–based artist and designer Fernando Mastrangelo, whose minimalist, concrete forms are made by first milling the prototypes with the 5-axis machine, then making a mold of each component and after that casting each piece to create the final work. Digital design and 3D printed fabrication are combined to create this ‘smart’ concrete wall by NowLab Bigreb. Its hexagonal grid structure is embedded with capacitive sensors and light fixtures enabled through the use of its 3D printed concrete molds. The sensors are activated by the touch on the outer surface of the wall, which turns on and off the 3D-printed hexagonal lights. The designers say they believe it could make a perfect dividing wall or interior screen. Finally, Brooklyn architect/designer Neal Aronowitz has created a collection of furniture utilising a flexible concrete cloth made by UK company Concrete Canvas. This concrete–impregnated fabric, which has found many applications including inflatable shelters, remains pliable so can be moulded before hardening on hydration.